Learning collocations like these can make it easier for you to put together phrases and sentences in English. You can learn a lot more inside my e-book, which will teach you 1000 collocations in 10 minutes a day. After the student takes the test, the teacher will mark/grade/correct the test. When talking about the test results, the student can pass the test (get an acceptable grade), fail the test (get a grade that is lower than the minimum required) or ace the test (get an extremely good grade). You can also say you did well on the test or did badly on the test. An oral test is done by talking, and a written test is done by writing. Students can take a placement test in order to discover their level. Hopefully you’ll finish answering all the questions by the end of the test session (the period of time given to complete the test). We also use the word test for medical tests and other experiments. A diagnostic test is one that aims to discover or confirm a medical condition. You can test positive for a disease (meaning you have the disease) or test negative for a disease (meaning you don’t have the disease). You might take a blood test or a urine test to get information from your bodily fluids, or you might take a vision test or hearing test to discover the abilities of your eyes and ears. If the police suspect someone is driving under the influence of alcohol, they might make the person take a breathalyzer test, which shows the amount of alcohol in the person’s blood. In some situations, like for professional sports or for some jobs, people might need to take a drug test to prove that they are not using any illegal drugs. Finally, let’s learn an interesting expression – to stand/withstand the test of time. If something stands the test of time, it means it continues to work well or be successful or well-regarded for a long period of time. For example, classic works of literature have stood the test of time because they continue to be read and enjoyed many years after they were written. I hope my lessons will also stand the test of time and help many more English learners now and in the future! 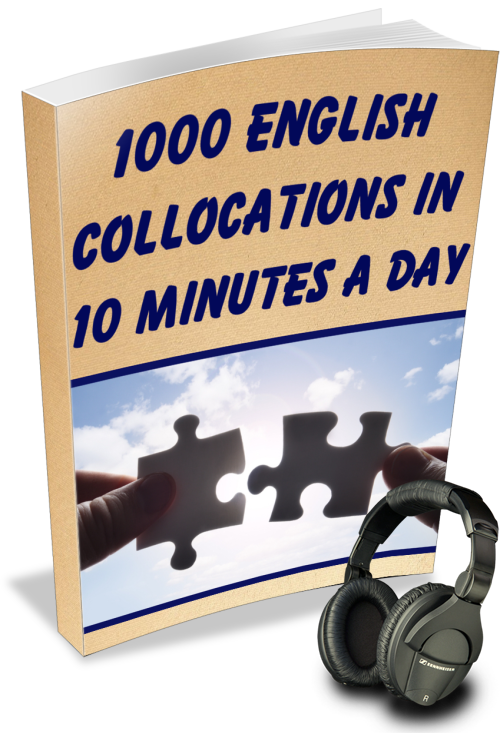 If you want to learn more from me, check out my 1000 collocations e-book. It has short lessons and quizzes that you can easily complete even if you don’t have lots of time to study.